A UNITED VIEW ON FOOTBALL: How to gain friends and influence people? In the past, the fans had a voice, in the literal sense, and the way to effect change was to use it. Cries of "Sack the board", "[Insert name of failing manager] out!" would echo from the terrace and often that would be enough to make the boardroom quake and eventually give way to the wishes of the faithful. But the times are a changing, the nature of football club ownership is changing and society is changing, both in terms of behaviour and culture. At my club, the death knell for any manager used to be when the fans took to the South Stand car park. Chanting for change right underneath the directors' suite. But this is less effective than it once was. It was enough to lead to the departure of Adrian Heath, but not even the waving of shoes, "Shoes off if you want Robson out", led to the immediate departure of Bryan Robson and, despite periodic demands for the head of Kevin Blackwell, the timing of his departure was surprising to the majority. Across the city, Owls fans protested in a traditional manner, outside the ground, following last week's home defeat to Southampton. It got a reaction, with chairman (and former player & manager) Howard Wilkinson coming out to make his points and state the reasons why the board would not be going anywhere. But the behaviour of some of the supporters, some of the questions they asked, the points they made and the manner in which they made them were embarrassing. Mobile phones and the Internet now mean actions like this have a wider audience. Is witnessing this going to attract the potential investment that Wednesday need? What is more noticeable is the vitriolic outpourings within these demonstrations. 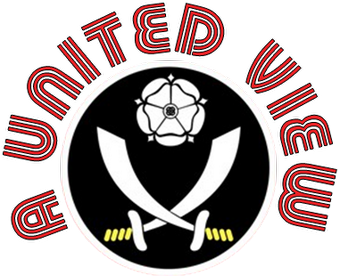 Fuelled by alcohol and changes in what the public consider acceptable behaviour, some of the vicious personal abuse, targeted at Robson in particular, did not sit comfortably with a majority of Blades fans. With Internet forums and social networking sites giving free reign to fans wanting to proffer their opinions on players, management, club staff, fellow fans and the tea lady, the boundaries are further extended and this permeates the outside world. The Internet also gives fans the opportunity to mobilise themselves in a much more organised way and this is not limited to just physical mobilisation. When dealing with the new breed of football club owner, not used to English football culture, the traditional methods of protest appear to be no longer effective. With Manchester United and Liverpool fans unhappy with the way their clubs are being run, marches and protests have been arranged. These gain publicity and media coverage for the cause, but seemingly had little impact on those that they were targeting. Some may suggest that the protests might be more effective if the fans march went away from the ground to another location, leaving empty seats in the ground. The recent example from Germany, where Borussia Dortmund fans boycotted their game at Schalke in protest at hikes taking the cheapest ticket prices above 20 Euros, was effective, but only because it was against their rival club and not against their own. It would be difficult to make it work over here, particularly when so many fans have season tickets and the club has the money banked already. All they would lose out on is the discretionary spend at the match and the fans would miss out on a match they have paid at least £30 to attend. The exception might be cup games, which already suffer from lower attendances anyway, and the Liverpool crowd of 25,000 against Steaua in the Europa League could be seen as a combination of supporter apathy with both the club's owners and competition. I have to say though, the idea of a "supporter" voluntarily choosing not to watch their team, doesn't sit easily with me. Now things are moving on and more innovative fan mobilisation has come to the fore. This includes an email bombardment of Deutsche Bank and JP Morgan, from Liverpool fans who perceived them to be a potential source of financing for Messrs Gillet and Hicks. On the Kop Faithful website there is a standard email to send to Stephen Hester (Group Chief Executive of RBS) along with many others who might be able to call off any potential re-financing of the Americans' RBS loans. In summary, it suggests the sender will seek a parliamentary or public enquiry if RBS fail to seize the assets (Liverpool FC) and force a sale at a market price. Extreme threats. Whilst their upset is understandable and their determination and organisation is to be applauded, their actions have to be perceived as risky. In not just targeting the owners and the directors, but involving financiers and other professionals who may well end up working for/influencing new owners down the line, are they not having a potentially negative impact on any sale and on the club's working relationships with these entities afterwards? Might these protests and organised disruption to business cause potential owners to walk away? Do these wealthy investors look at what the fans are doing and question whether they should put themselves in that situation, potentially becoming the recipients of such actions when things turn sour at some future date? Many of these investors come from deeply religious countries/states with moral codes of conduct, the negative attention and bad publicity may well scare them off. Would you want to buy a club that has clearly inherent problems with its fan base? A fan base that is well organised and reacts so aggressively to a lack of success. Could you honestly believe that you will be given the, probably quite lengthy, time needed to effect change in those circumstances? Fans need to have a voice, they are the major stakeholder in a football club, but what they say and do with it is important. The fans are revolting, but they need to be careful. What they don't need, is for those who might save them to view them as revolting in an entirely different way.